Minutes before the much anticipated debut of the Chevy Camaro Z28, it was all over Twitter that the car revealed would actually be a ZL1. A high performance Camaro, the aluminum hood is raised with a vented insert, rear diffusers and spoiler, and 20 inch forged aluminum wheels. 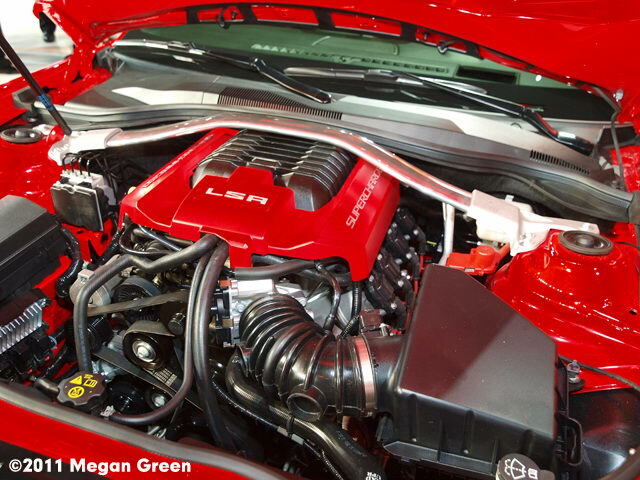 Under the hood is the LSA 6.2L V8 engine with a 6-speed manual transmission. The ZL1′s power comes from a supercharged aluminum-block 6.2-liter V8 producing an estimated 550 hp. 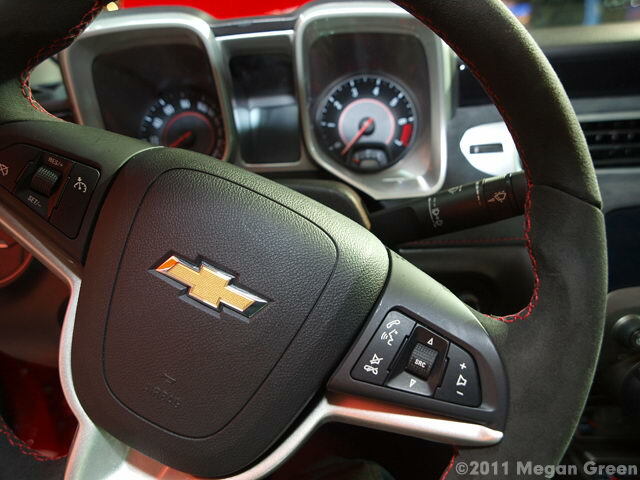 The interior is given as much attention as the exterior design with microfiber suede inserts on heated leather seats. 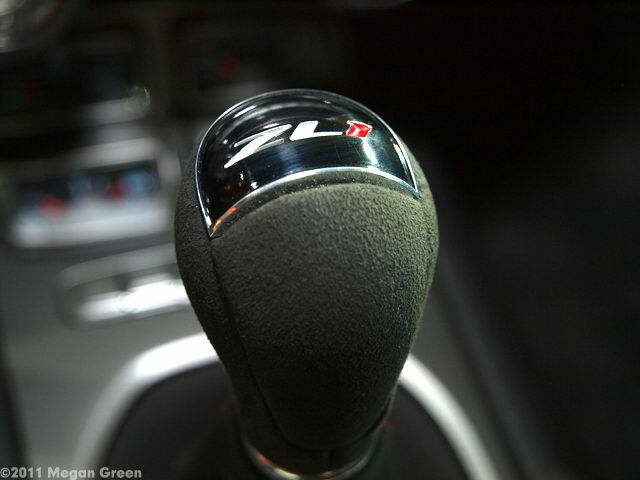 Unique to the ZL1 is a leather wrapped shifter and steering wheel, redesigned with the bottom of the wheel squared off and ZL1 badges. 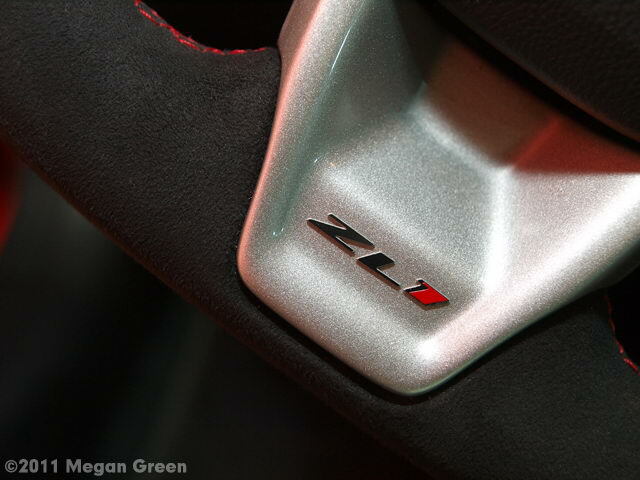 The ZL1 is still in development, though, and is projected to be available in early 2012. The ZL1 name is taken from the 1969 Camaro ZL1, which had an aluminum block 440-hp 427-cubic inch V8. In the meantime, for all things Camaro, there is still talk of a Z28 down the line and 500 replicas of the SS Convertible Indy 500 Pace Car which will be built this spring. Also, the limited edition Camaro Synergy model will return this spring. The model is aimed at V6 buyers who want performance equipment at a lower price. To compete with the Ford Fiesta and Subaru WRX STI, Hyundai teamed with Rhys Millen Racing to create the 500-horsepower four-wheel drive Veloster Rally Car. It was stripped, welded, braced, with a safety cage and firewall added. Body panels were then recreated in carbon/Kevlar for an even lighter curb weight of 2,656 pounds. The third door was taken up by side air scoops. 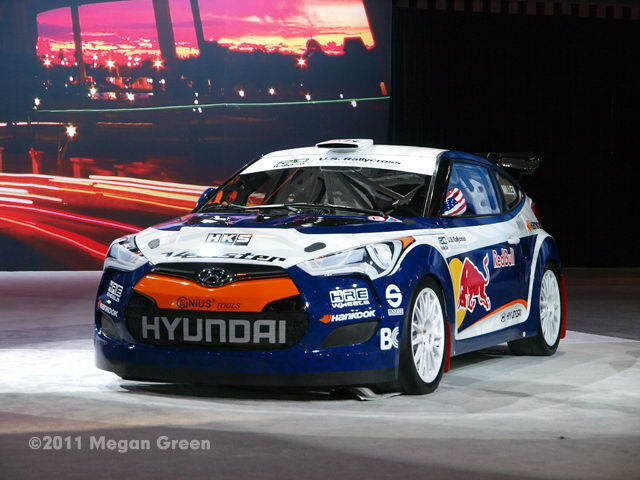 The Veloster Rallycross Team will race in the X Games. After the much-maligned redesign of the TL sedan, many were curious how Acura would respond with the 2012 model. A refined and less bulky nose was immediately apparent, and a “beautifully proportioned” TL was much easier on the eyes. The trunk still comes to a point, but that has been toned down as well, tail lights updated and the size of the reflectors reduced. Fuel economy has been improved to 20 mpg/city and 29 mpg/highway. 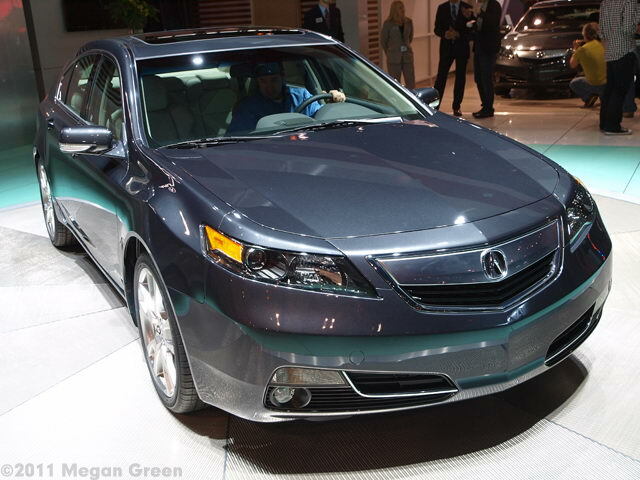 Two versions will be offered – the TL with a 280 horsepower V-6 engine and the TL SH-AWD™ with a 305 horsepower V-6 along with Acura’s Super Handing All-Wheel Drive. Upgrades are available regardless of trim level; a Technology Package that includes navigation, weather and premium audio systems and a new Advance Package with blind spot information, ventilated front seats, and split five-spoke aluminum wheels. 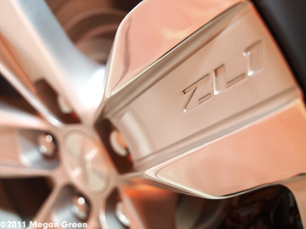 (7-spoke aluminum wheels come standard on the TL, and 5-spoke on the TL SH-AWD™.) 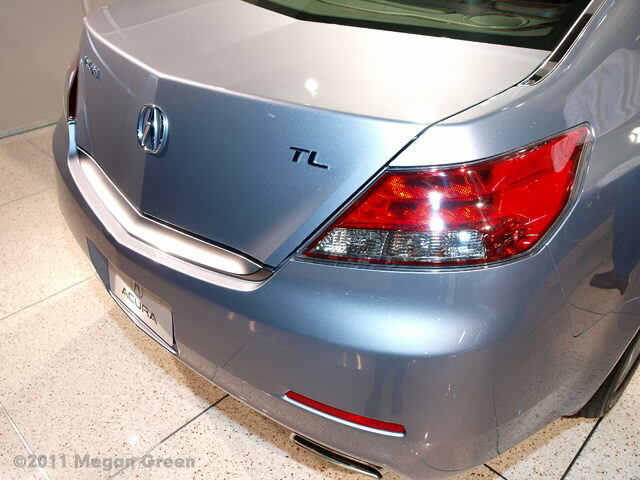 The 2012 TL should be available later this year. Audi introduced the TT RS sports coupe to the American market in a unique way – with a party for their Facebook supporters instead of a tradition press launch. The decision to bring the TT RS stateside was sealed with a vote on the Audi Facebook page. It is still early enough in development that much has not been decided, such as the color palette (although one Facebook fan that was present pleaded the case for orange). The interior will be offered in two choices – black and “silvery.” However, there will be no options for the inlays and bucket seats, available in the European version, but not be available in the U.S.
A rear spoiler will come standard but will be deletable if preferred. The aluminum wheels are more matte to identify this car as a TT RS. Audi is trying for a 360 horsepower engine, but, again, that is still up in the air. The price has not yet been set either, but they are looking to keep it in the low $60k range. 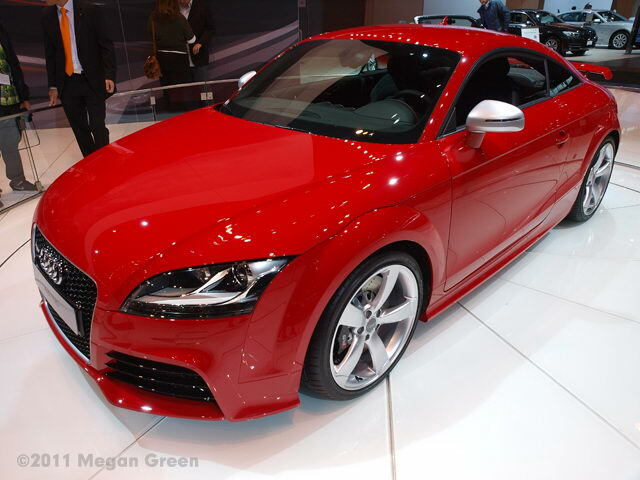 The Audi TT RS will be a limited edition with well under 1,000 to be made available. 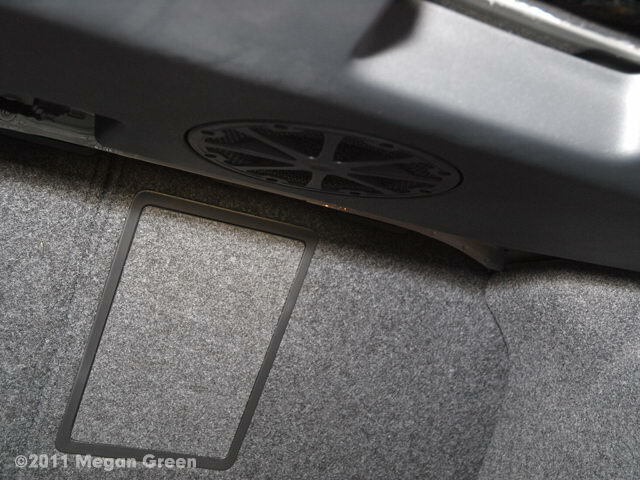 Volkswagen teamed with Fender and Panasonic for three years to offer the Fender Premium Audio System in the Jetta GLI. 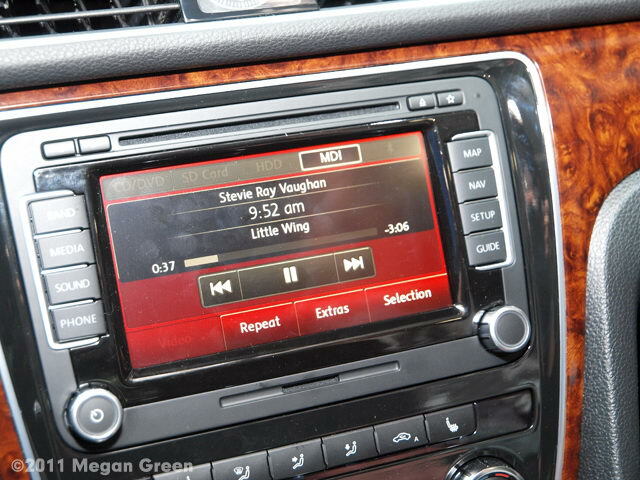 I spent a few minutes in a Jetta listening to Stevie Ray Vaughan, and the 400 watt system is impressive. Fender worked with VW to strategically position two tweeters and speakers in the front, another pair of each in the back and rounded out with a sub woofer in the trunk to offer a clean sound experience. No matter the volume, it is soft on the ears, never getting tinny, and maintaining a detailed midrange, and rich but not overwhelming bass. I was told that the Jetta GLI will be offered at $23,500, and with the Fender Premium Audio package, $26,500. 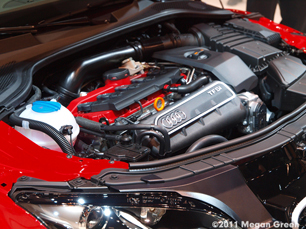 The Chicago Auto Show runs from February 11-20, 2011 at McCormick Place. The Camaro reveal was definitely a lot of fun. Thanks for looking and commenting. Fantastic review on the new Fender Audio in the Jetta, and good, sharp pictures. Thanks. thanks for the review Pony Car Girl! I got a little cross-eyed by the time I got to the VW (which I will always be sentimental for) but did like that you got me interested in cars again in general. always had a soft spot for Camaros, altho, seeing the Hyundai which I currently drive made me happy, so wondered if I should root for that. in general, good to see you writing and photographing!